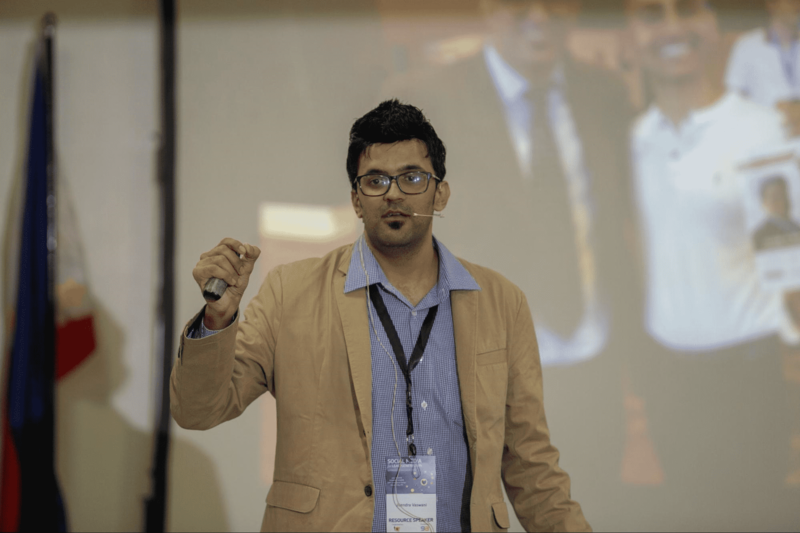 Traffic Cardinal interviewed Jitendra Vaswani - digital marketer, professional blogger, speaker and SEO-consultant from India, who has more than 5 years of experience in the industry. Founder of “DigiExe” digital marketing agency and internet marketing blog “Bloggersideas”, creator of WordPress plugin “Schema Ninja”, has shared his tips on blogging, affiliate marketing and earning money online in general. Vadim Korepov: Hi, Jitendra, thanks for taking your time. Can you say a few words about your major project - “Bloggersideas”. How did you start it? Currently I am the Brand Ambassador of Payoneer (International Payment Solution Company) and have strong online influence over popular social media channels. I also take initiative to share my experience with young aspirants and budding entrepreneurs at blogging and start-up events. Through my first book “Inside A Hustler’s Brain: In Pursuit of Financial Freedom” I want to help people to take actions in their life and bring change in people’s mindset. To have an entrepreneur mindset is everything. V: You said “BloggersIdeas” became an instant success. Did you have mostly free or paid traffic when you just started it? From which sources? J: When I started the blog I never dreamed that I will make it big, but somehow I got so much interested in blogging that I was posting unique content daily and started doing expert’s interviews on my blog. If you saw my blog, I interviewed a lot of digital marketing experts like Zac Johnson, Neil Patel, Ann Smarty and many others. My traffic was pure organic and I never did paid traffic when I started, because I didn’t have much money at that time. I started this blog with invest of 50$ and this 50$ investment is now worth millions. My main traffic source was Google & some blogging communities where I was sharing my content like Bizsugar.com, Indiblogger.in, Blokube.com, Blogengage.com & also Facebook where I used to share my content every day. You need to use free resources - whatever available for you in the beginning. Don’t go for paid at the start if you don’t have much cash in your hands. V: Do you have any stats from that early period - how many post views & visitors did you have, what was monthly growth in dynamics? J: Yes, I can share my early blog stats showing how my blog grew. This stats is here to inspire people and display how blogging changed my life because I was consistent. V: Today there are too many blogs and sometimes it seems that all possible topics have been already discussed. Is it still worth the effort launching a new blog in conditions of tough competition? Which topics / niches do you consider as the most engaging at the moment? J: Yes, there are too many blogs on internet right now, but if you focus on your niche and try to do different content, you will surely get attention from users. I do launch 5-10 blogs every year and do experiments with them in terms of SEO & PPC. Without A/B testing nothing will work and you need to be consistent here to get the results. I've been doing blogging during past 5 years and I am very consistent with that. I put content daily and keep experimenting with my blogs. Choose topics which are trending on Google Trends and also which are being talked on media outlets. Trending topics tend to get more attention. Start using social media more wisely, use IGTV which is new Instagram platform. If you get attention on IGTV, you can capture big amount of audience there. V: Which of your SEO & PPC experiments was the most successful? What results did it give? 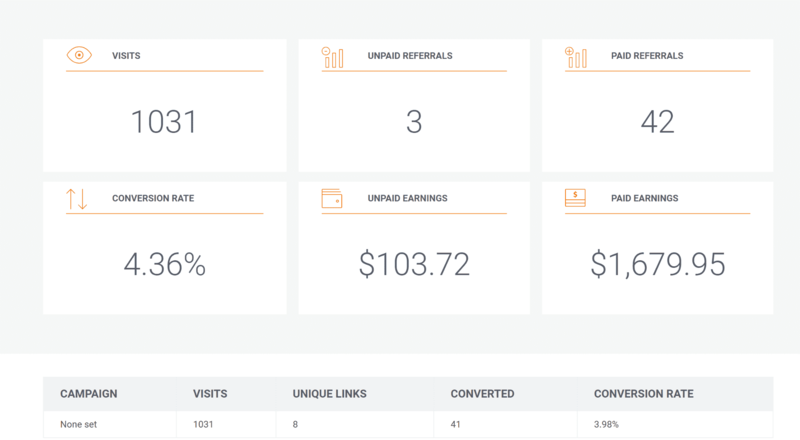 J: I will share the results of PPC I did with 2 products - Alidropship plugin and Cloudways. I was bidding on these 2 products for keywords like “Alidropship Coupon”, “Alidropship Review” & for Cloudways I was bidding on “Cloudways Coupon Code”, "Cloudways Review”. For doing Adwords you always need to see which keywords can give you maximum ROI, so I played here with these 2 products and my success story of Alidropship was featured on their official site too - check here. 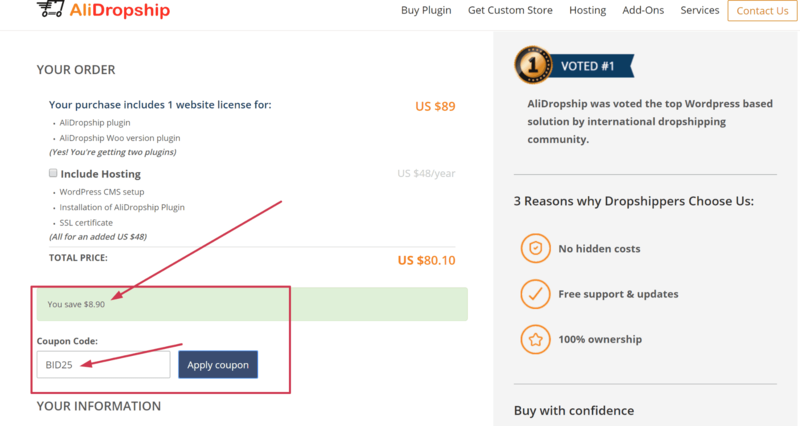 Also to make my affiliate income more successful with Alidropship & Cloudways I asked them to give special coupon code - it always works very well to get more affiliate sales, so always ask for special coupon code from the company and they will be happy to give it. I spent around 250$ during the Alidropship campaign and I made like 600$ + approx. The below income screenshot is combination of SEO & PPC. I made $$$$+ extra with SEO. Also you can see that I targeted different country locations for Alidropship to see which countries give me maximum ROI. Segmentation plays important role here in building your campaigns. As for Cloudways, I spent like 150$ in Adwords and made like 520$+ in commissions. Again you can see the landing page with a special coupon here that I asked from advertiser and they were happy to give it to me. This gave me higher ROI. Coupon & discounts work really great for Adwords campaigns. 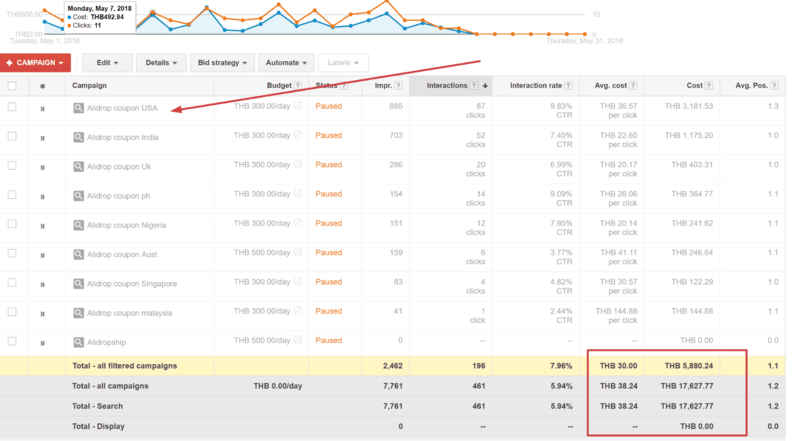 V: Can you reveal some more tips how to get more traffic to new blog? J: I would say work on that niche where you have some knowledge, as you will be able to share your personal experience on that topic. Working on niche where you don’t have any knowledge will not give you any money. Trust me, it’s true. I work in those niches where I have some experience and I know that if I give value to users, then they will buy from my affiliate link. Make sure that your user engagement is high on your website. User should feel trust on your website, if you want user to click on your affiliate link. Here is my another post which talks about Make Money Online From Home. For traffic you can start creating content and share it on social media channels, define your target audience and social platform. Sharing content on every social platform may not give you the best ROI. For example, if you think Youtube is the best platform for you, then focus on Youtube, create massive and engaging video content - you will see traction for sure. V: What targeting settings do you use for digital niche? J: For me targeting is important in my campaigns. I choose mostly UK, US and Australia as countries to promote my digital marketing tool offers, because I know people from these areas are searching for it. V: What traffic volumes do you have monthly on “Bloggersideas” at the moment? Audience type : Bloggers, Make Money online, Digital Marketing, WordPress Themes & Plugins Freelancing, Ad Networks, Hosting, Reviews, Webmasters, Social media experts, SEO tools. V: That’s very decent amount. What percentage of foreign traffic do you have? What is your GEO ratio? J: Demographics: India, US, UK. India : 50%, UK & US : 25%, Rest is other countries. Currently I have 5 more blogs on different niches. Slowly I am shifting my focus to paid marketing and currently I am trying my hands on Adwords. V: What mechanisms are you employing to grab user’s attention within seconds? As Nielsen Norman Group says, visitors usually stay on the website no longer than 59 seconds. J: Yes, it’s true that user’s attention is very short and you need to be supercreative to grab it. First, users are looking for a solution of their problems. So on my blog I have clear website design and content structure is super clear, I don’t have any ads on my content currently. I have little auto messaging bot on the blog footer to make user engaged and have awesome sidebar on my blog. So if the user is looking for any other discount deals, I can help them to get it. V: What is your bounce rate? What would you recommend to those who have too high bounce rate? J: My bounce rate is around 60%, it happens in most of the blogs. Don’t have too many ads on your website, keep it clear and clutter free. Don’t force users to click on anything and don’t have auto ads which may irritate users. Play with your content structure, have call to action buttons on different locations and see where users are clicking. Use heatmaps and do A/B testing - this way you can increase users span on your website. Try different website designs and see which is working well for your business and make your website pages super fast, spend money on good hosting. Never go for cheap hosting solution. V: How do you promote your blog today? Which channel is the most efficient? J: My blog most traffic is from Google, I usually try to share content on Facebook, Linkedin & Twitter. Also you can share on your favorite blogging communities like Bizsugar.com, Blokube.com, Blogengage.com, Rebelmouse.com, Scoop.it& other communities where engagement is high. First of all, your content should be engaging enough to be shared by your audience. V: What on-page SEO techniques do you employ to rank higher? J: There are a lot of on-page SEO techniques, but my fav is having amazing title & meta description. I see some blogs till have proper title & meta part. That’s the important part of your content, make it creative and you will see huge CTR. Check in your google search console and see which articles receive lower CTR, improve their title & meta and you will see huge jump in rankings. V: You’ve already mentioned that you use affiliate links for monetization, what other methods do you practise? Whenever you are doing business, never depend on single source of income, I have multiple blogs from where I earn and they are private, so I can’t share here. Blogging is getting tough day by day as Google is getting very strict with link building, they are constantly penalizing PBN and other marketers who do spamming a lot. I have seen some of my friends got badly penalized by Google and they are now suffering from money problems. They didn’t have multiple sources of income. V: Could you explain, how do the niche sites work? J: Niche site is basically a site which focuses on single niche. Let’s assume you are good at reviewing health products, so creating health product review site is a niche site and it will only cover health topics. I have 5-10 niche sites these days which cover niches like : Health, Hosting, Digital marketing tools and Coupon sites. So for these niche sites I had hired a team who is managing them and putting out content on them. If you put out great content, you will surely start making money from your niche sites and then you can join affiliate programs from Shareasale and CJ.com. Hope this will help readers start out their niche sites. V: Which monetization algorithms didn’t work as you expected? J: For me Clickbank products didn’t work very well, I tried a lot to promote on my blogs but I didn’t make good money with Clickbank till now, I make good money through Shareasale, CJ, Avangate, but Clickbank is lowest for me in my affiliate marketing. V: How much do you earn on blog traffic? I don’t share my income reports on any platform, but I earn pretty decent money to travel the world and live my dream life. V: What is your major source of income at the moment? J: I do PPC campaigns on my private landing pages, means we create landing pages and then promote offers there. My major source of income for now is SEO and it requires some investments, but at the moment I am seeing higher ROI in Adwords, so I plan to invest more in Adwords as compared to SEO. V: What products do you promote currently with Adwords? You need to test lots of products to find a winning products. You can see list of ad spying tools here. Check out my income screenshots from different affiliate networks. Smarterasp hosting income is from SEO mainly. This I made in 1 year from this hosting brand. V: How many leads & conversions do you usually have with different products on Adwords? J: For Adwords I tried to play with lots of digital marketing tools I was promoting and I played with Alidropship affiliate. I was spending like 15$ and making 30$ approx this was 100% ROI. 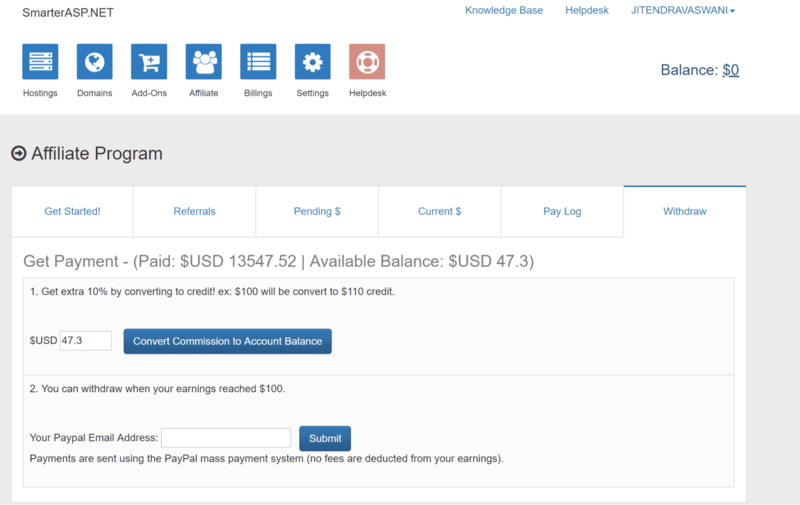 For Cloudways campaign I generated 15 leads in a month and they paid me commissions around 500$+. I shared income screenshots in my above question. I spent like 210$ approx. Also I tried hosting offers but they didn’t worked very well, I used different keyword combinations for hosting product but I didn’t get the sales I expected. But one hosting campaign was very good for me, I spent like 150$ and made 360$, so 140 % ROI was there. I cannot share the name of hosting company as it is not so famous hosting brand but searches for that hosting keyword were like 20-30 in a month, so sometimes I do choose keywords which have low search volume because sometimes they can also give you sales. Now I am planning to promote some health niche offers and CPC is around 5$ for those keywords, I am very new to health niche, I am mostly promoting digital marketing tools only for now. 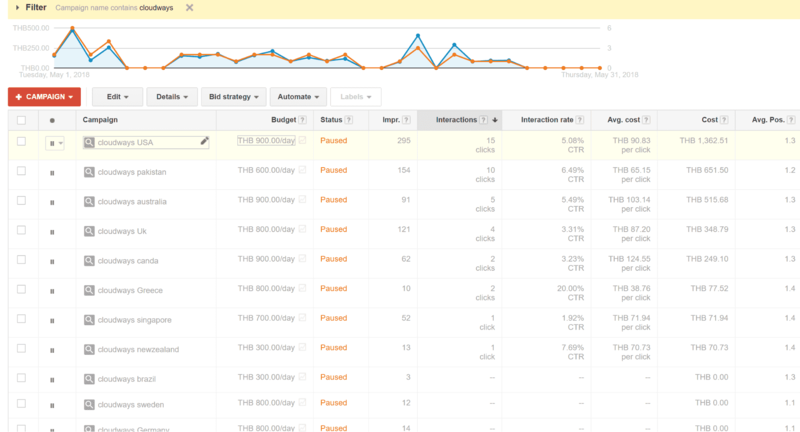 V: What maximal budget have you spent on Adwords campaign so far? J: I have spent like 700$ for one campaign , this was by far the most ad spent I did it, I spent it on Cloudways affiliate program, I’ve already explained how I did it and what were the keywords I targeted for. Targeted country is very important in Adwords and you need to check Google Trends - what XYZ keywords are searched mostly in this country. I use Google Trends to analyse the keywords competition and find the target location. V: In the beginning you mentioned your book “Inside A Hustler's Brain: In Pursuit of Financial Freedom”. How did it contribute to your digital business development and its media awareness? J: Of course, my book helped me get speaking deals internationally and personally I am able to get some good business connections. Book funnel is one of the best ways to make money. 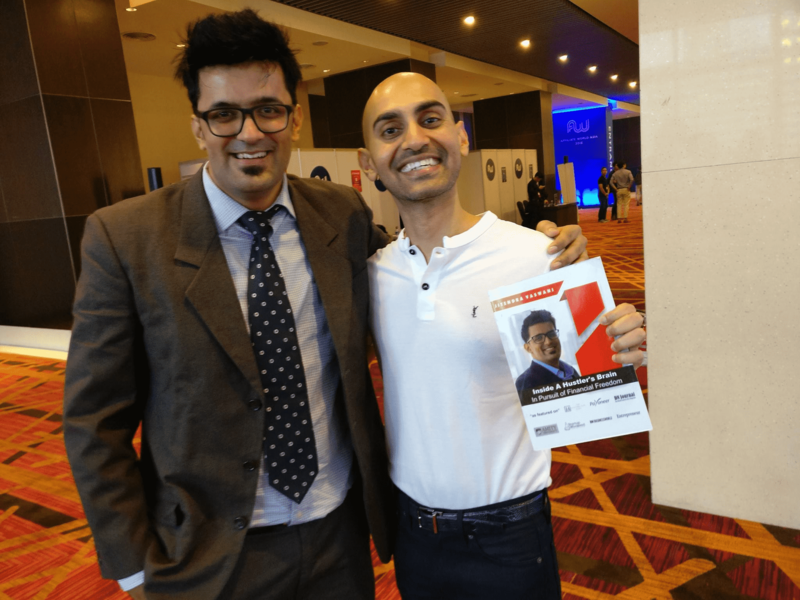 I give my free book copy to influential people and try to make business connections with them, I would recommend every digital marketer to write a book. V: You’re also known as speaker and specialist in event management and one of those Indian digital marketers who attended Moscow Affiliate Conference. Can you share your experience? V: Thank you for warm testimonial and sharing your knowledge. May your business grow and bring you prosperity. J: Thank you Vadim, I wish you too the best of luck for your future projects, I am glad that we met and did business together.